When I arrived in Copenhagen, I didn’t really have any plans. I was maybe going to meet an old friend, eat a hot dog, possibly find a hot Danish wife and start a family of badminton players. 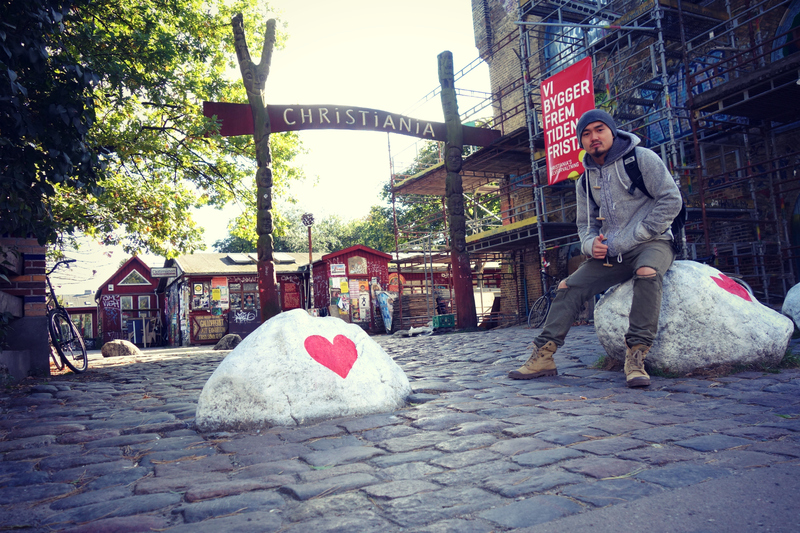 But one thing I knew for sure was I would be spending a day in Christiania. 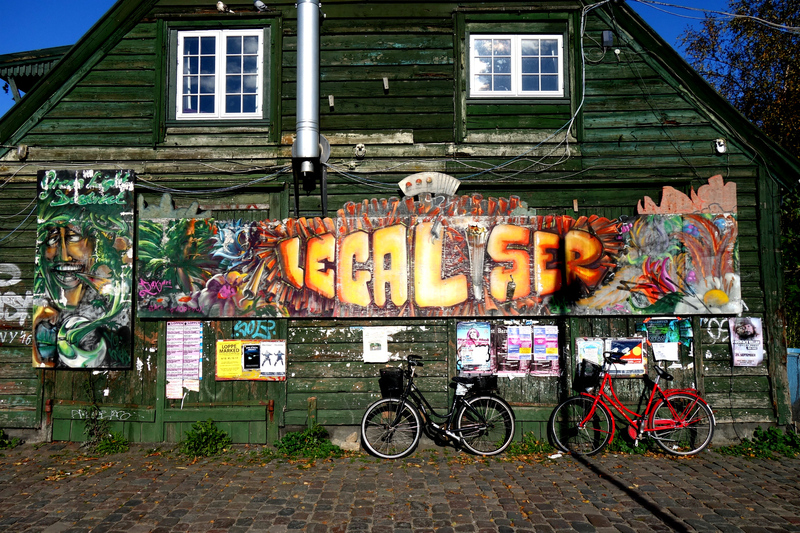 Christiania, also known as Freetown Christiania, is a self-governing neighbourhood in the centre of Copenhagen. It consists mostly of an old military facility and housing, which was abandoned and closed some time after World War 2. People from the surrounding neighbourhoods eventually broke in and claimed the area for themselves. The residents of Christiana, who now number around 800, finally declared their ‘independence’ as a free city back in 1971. 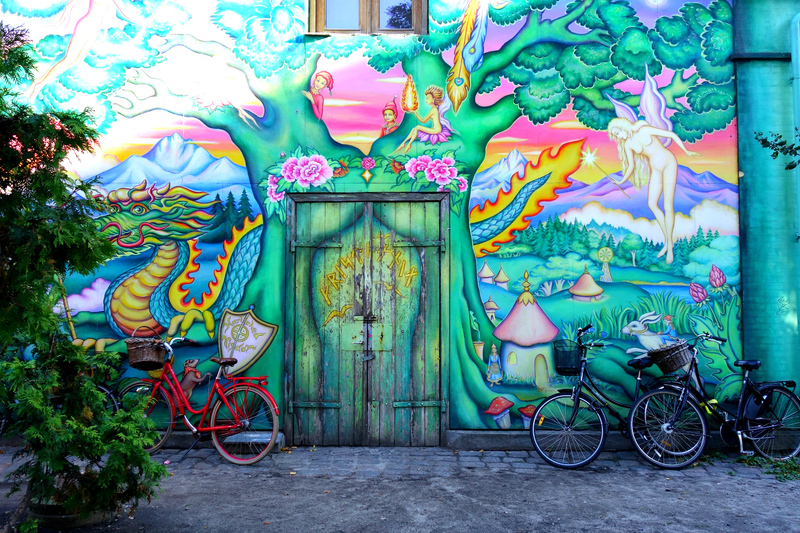 Today, Christiania feels as much like a tourist attraction as it does a city. 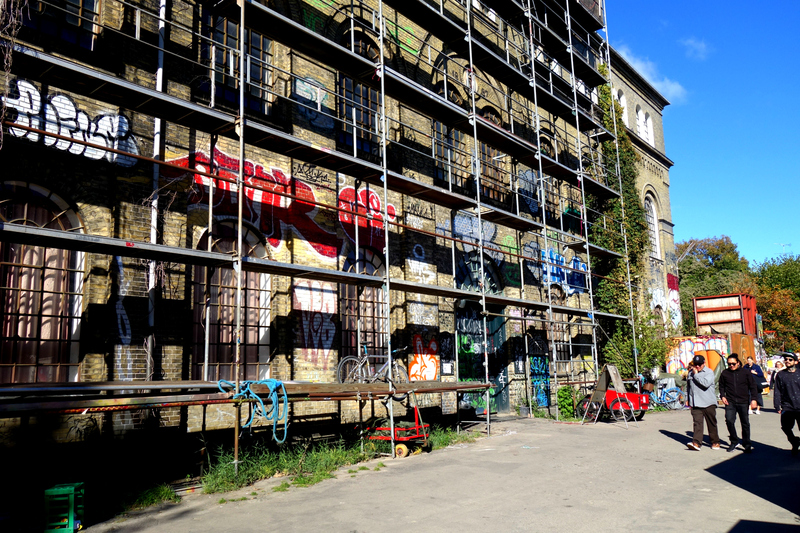 Flocks of people visit it daily, and some (like me) are in Copenhagen for Christiania alone. I entered Christiana around midday. I was pretty excited just walking through the entrance – it’s like a walled city, sitting in a central Copenhagen neighbourhood. 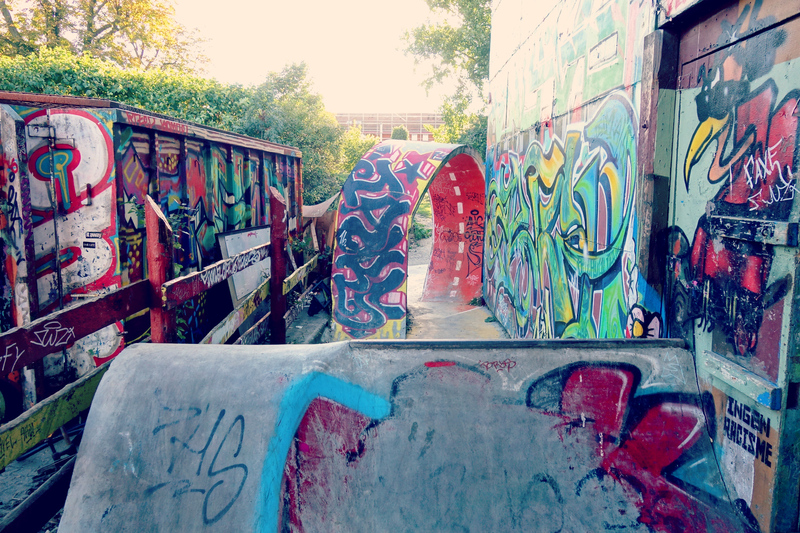 I entered through one of the side entrances, and the first thing I saw was the skate park. There were a couple of younger guys doing renovations, fixing up some ramps and shovelling dirt. I gave them a friendly nod as I walked past, trying to look as hip as possible. After taking a few photos, I noticed a little door by the side of the ramps. It was pretty inconspicuous, everybody seemed to be walking straight past it. There weren’t any ‘no entrance’ signs or anything. I wandered in. 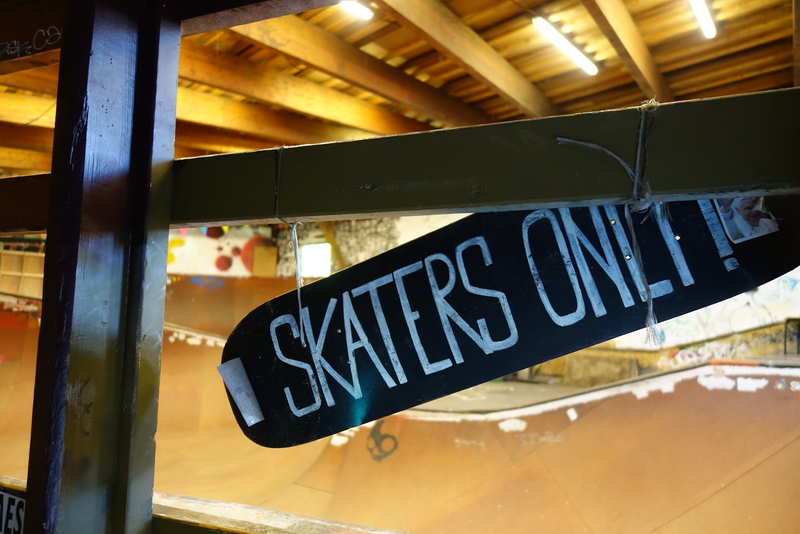 Inside was an enormous skate bowl, in pristine condition. Old skateboards were lined across the ceiling. It was huge, and empty. 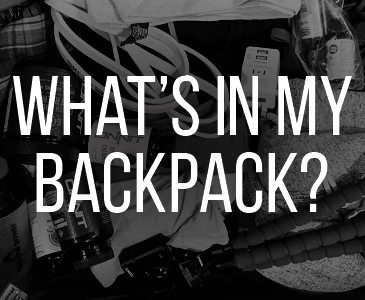 I don’t think many people know it’s there. I ogled the place for about five minutes, and was just about to walk out when I noticed some dude sitting up in the corner; a young black guy, chilling out by himself. He’d been up there the whole time. I climbed up the stairs towards him and gave him a friendly hello. He was rolling up an enormous spliff. “Hey, what’s up,” I said, climbing up the ramp. He offered his hand, and gave me a little “what’s up” nod with his chin. “Where are you from?” I asked, shaking his hand. 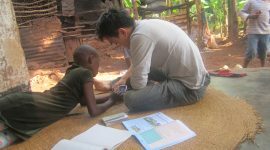 I greeted him again with a few words in Swahili. He stared at me, and laughed, like he’d seen a ghost. I laughed with him and he shook my hand again, and he greeted me with a few words of his own. “So you live here?” I asked him. He held up a perfectly rolled spliff, fat like a cigar. He pointed to the wall. Almost on cue, a few kids wandered in the entrance, followed by their parents. He gave me a look and smiled. I followed him onto the balcony. He lit up and passed it to me, and started telling me a little bit about the place. After ten minutes and around three hundred questions, he offered to show me around. We climbed down from the bowl and back out onto the street, and he started telling me about all the different bars, streets, houses, the places he liked to eat. Eventually, we made it to the infamous Green Light District. As we walked in there was a small row of artisan stands, selling bracelets, pipes, lighters and different arts and crafts. One guy was wearing a crazy cool hoodie, and I asked if I could snap a photo of him and his stall. Behind that, we wandered into a small market, with little shops selling more pipes and bongs, clothing, bags and hats. It all felt very hippie and world peace. If I had more Danish kroners on me, I would’ve bought a few things. Unfortunately, after buying breakfast I was already broke. Copenhagen does that to you. Then a little further down, he warned me to put my camera away. Pusher Street is the main street in the Green Light District, where cannabis (mostly hashish) has been sold openly for many years. Until recently, there were cannabis stalls lining the street, until police came in and shut everything down. Now it’s much more hush hush; it’s not out on display, but if you look reasonably “fun” you’ll get offered some pretty quickly. I popped my head into a small bar. I don’t remember much about what it looked like, other than it being red (both the walls, and the eyes of the clientele). It was full, with both smoke and people, and the smell of err, happiness, was thick in the air. I told myself I should come back later for a drink. I followed Ben off the end of Pusher Street. Then he stopped suddenly, and turned to look behind us. I turned around. Everything had suddenly become still, quiet. A pair of police officers, in full uniform, were leisurely strolling through. Everybody stared. Nobody said anything. I looked around the crowd. I could see people’s eye rolls in the silence, all stand-offish, mumbling comments to the people beside them, shaking their heads. The tenseness grew, as they loitered for what seemed like forever. But eventually they made their way out of sight, and everything went back to normal again. He smiled and took another drag, and handed the smoke back to me. As you might expect, the culture here is very anti authority and hippie-esque, deeply rooted in things like meditation, yoga, skating, ‘peace and love’, recreational marijuana, and is a sanctuary for free thinkers and those disenchanted with modern society. Christiana residents think of themselves as a collective, rather than individuals. They are against any private ownership, bosses or any form of authority, particularly government. 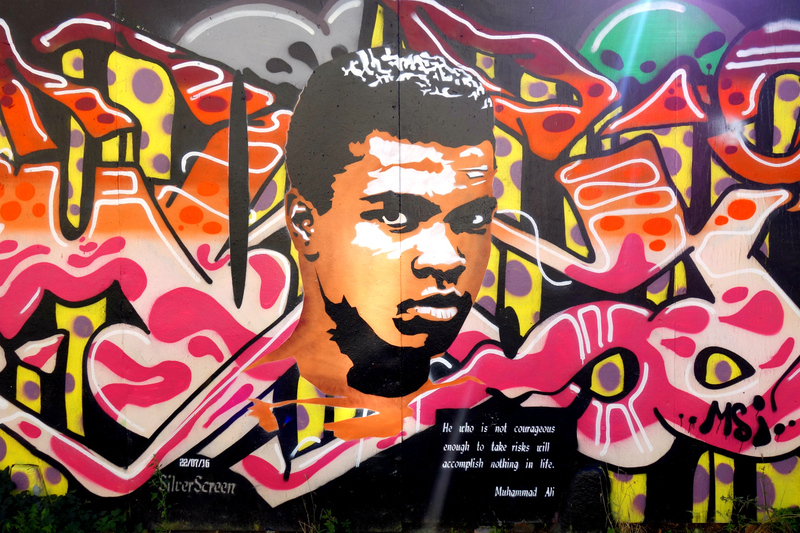 There are no weapons allowed in the free town, no private cars, no violence, no gang colours, no hard drugs. 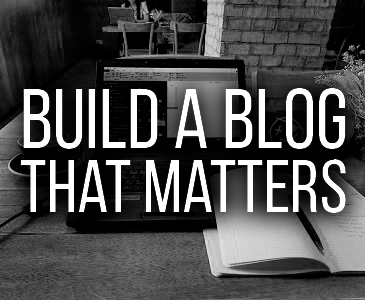 Decisions for the city are made by no one individual, but as a compromise by its residents. The people and the community are seen as equal and one. However, a society that can function without the government is frowned upon by, well, the government. 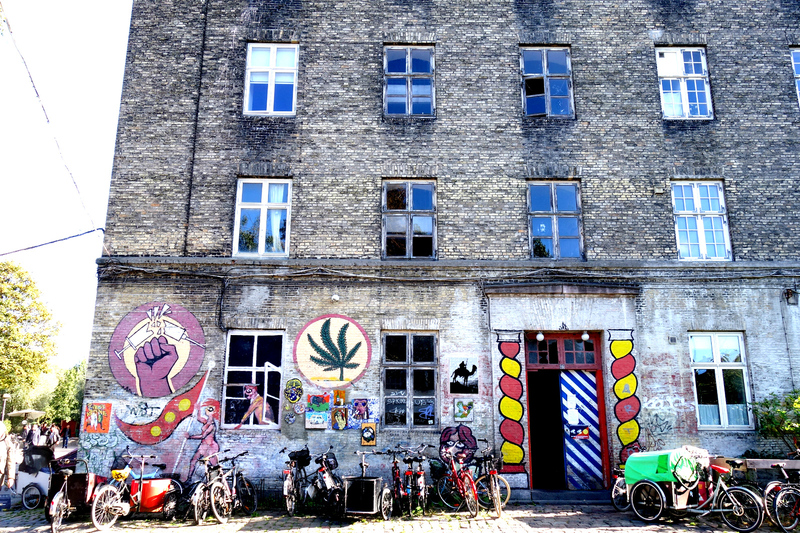 The State is constantly pressuring Christiania into normalisation. Slowly, they are winning. 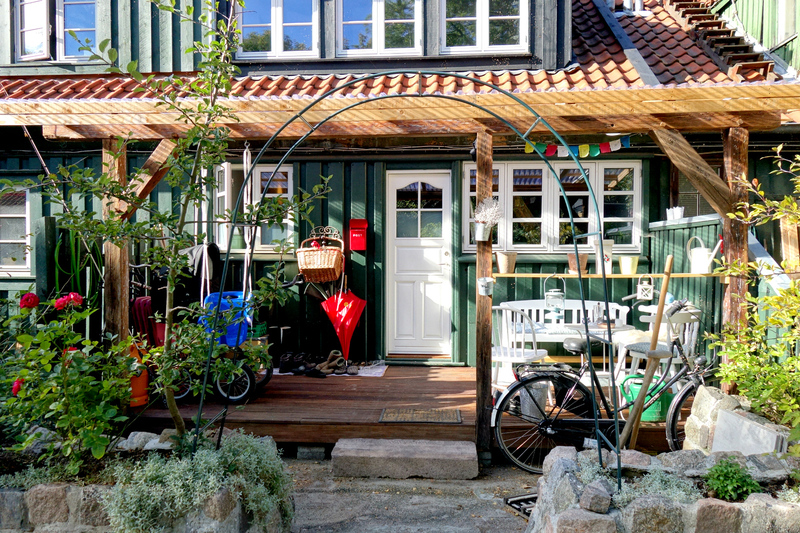 The concept of Christiania has already been declared “illegal” by the government, the residents are now required to pay income tax to the State, and the government is slowly pushing for privately owned residences. Cameras have also been installed by police in the Green Light District. 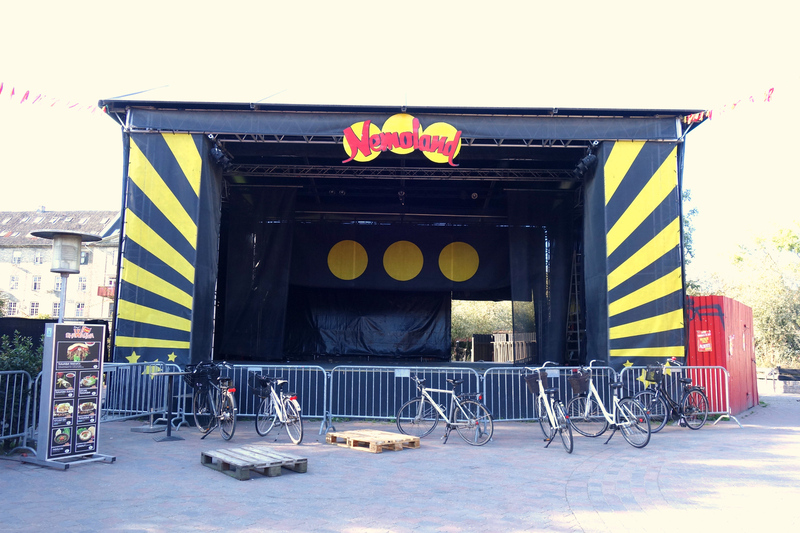 Slowly, Christiania is changing. 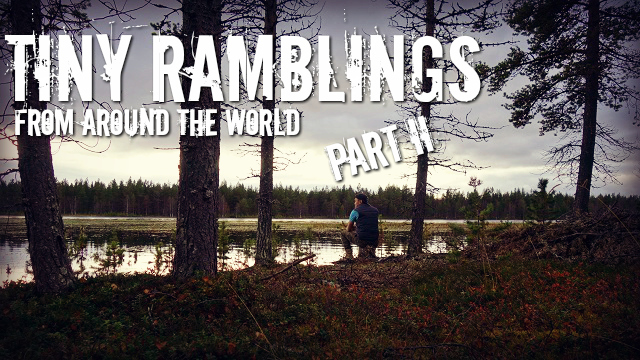 Ben and I continue walking off the end of Pusher Street, up to a place called Nemoland. Nemoland is a little community area with seating, bars, food stalls. It was full of people, presumably many of them tourists, sitting around chatting with plastic cups of beer. At the front was a big stage, where Ben explained they sometimes had shows and performances. We wandered through, and then up to a small rise behind it. There was a park area there, where people sat in the sun, chilled out, drank and smoked. There was a certain energy in the crowd up there that made me want to stay. Peaceful, relaxed, welcoming. In fact, one of the rules of Christiania as “No running”. Running usually means police are coming, so anybody running within the freetown causes unnecessary alarm. 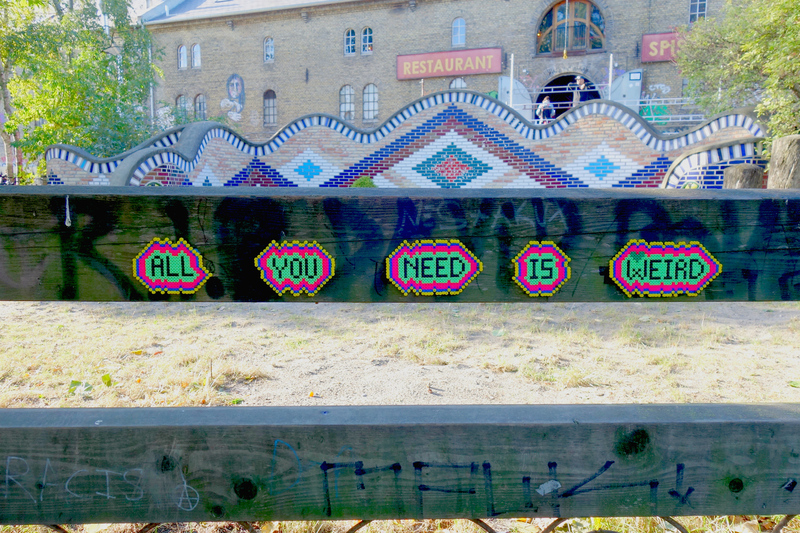 Plus there are no bosses in Christiania. There’s no such thing as being “late for work”. Why would anyone need to run? A little past Nemoland we wandered onto another street that was a lot less crowded. There were a few shops and cafes, and people sat under the Christiana flag mingling and talking, simply enjoying the day. I was told the yellow dots on the flag represent the three dotted i’s in Christiania, but according to Wikipedia it actually stands for the 3 o’s in love, love, love, which is one of Christiania’s slogans. Apparently the red and yellow was chosen because there was a lot of red and yellow paint left behind by the military when the first group of settlers moved in. A little further down we came across a shop selling these bikes. 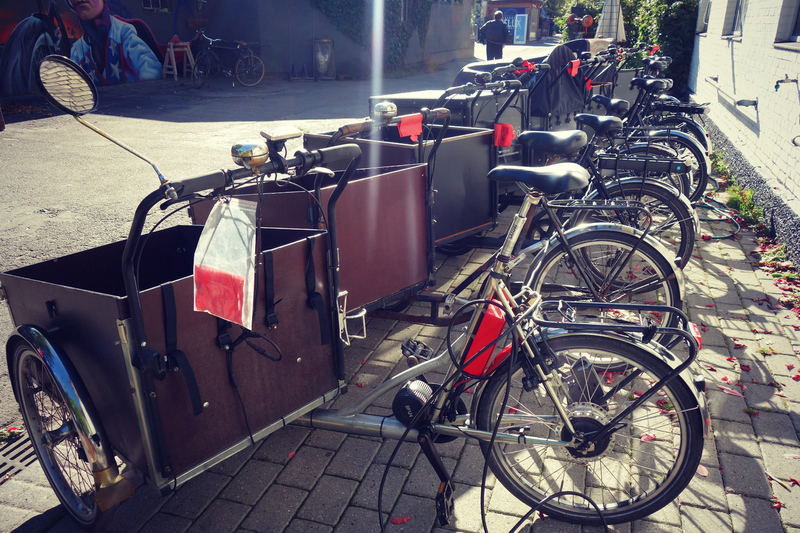 Because cars aren’t allowed in Christiania, this is how people cart stuff around. 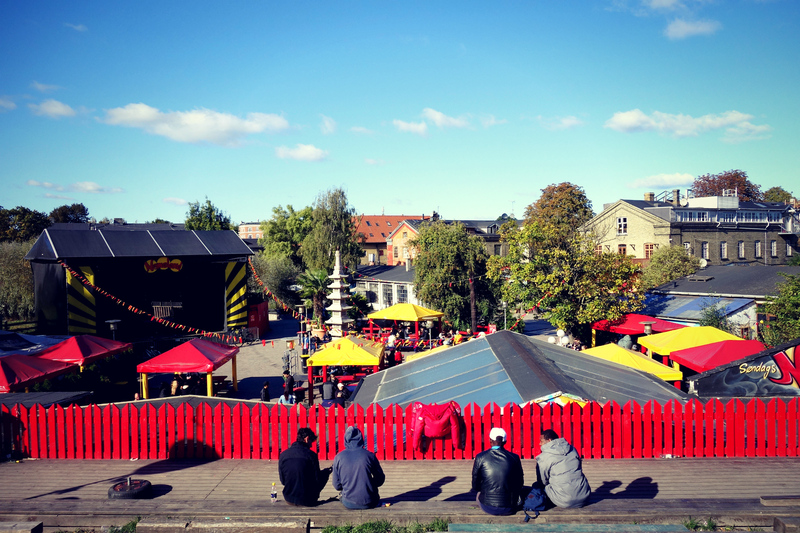 On the other side of Christiania is where people actually live. It’s very charming and there are a lot of nice houses out here, and most of them look well kept and decorated with love. As we walk through, I see kids toys and bicycles and can hear children laughing inside. I wonder what it’s like to live here, to grow up here. Where do you go to school? What do you do for fun? Are there special Christiania holidays and traditions? So many questions. After about an hour we got back to where we started. I shake Ben’s hand again and thank him for the hospitality. In true Christiania style, he takes nothing but a handshake and a smile and walks back towards the bowl. I spend the next hour wandering around, peeking in doors, browsing all the trinkets in the stalls. By the end of the day, I’m exhausted, satisfied and inspired. And sad, too. 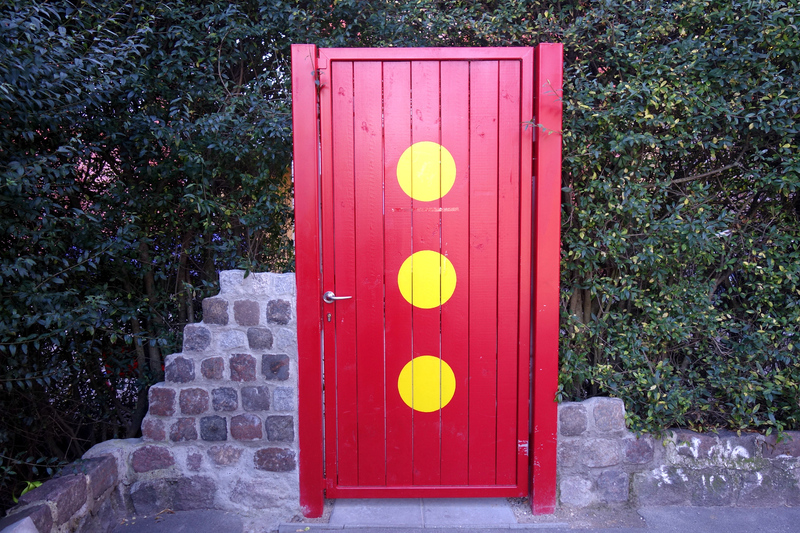 Because I leave knowing in our current world, a place like Christiania will never flourish. There will always be powers that are threatened by it, that will work to tear it down, that cannot allow a free-spirited place like this to exist. And slowly but surely, piece by piece, the Danish government is wrestling back control of this unique neighbourhood. My guess is in twenty years, there will be nothing here but a shopping mall, some high rise apartments and a little government owned Museum Of Christiania in the corner (with an entrance fee, of course). Other than that, there’s nothing really left for me to say other than – what an interesting place. And others are just paintings of cool stuff, like dragons and naked fairies. Back at the bowl, you’ll find more rules. 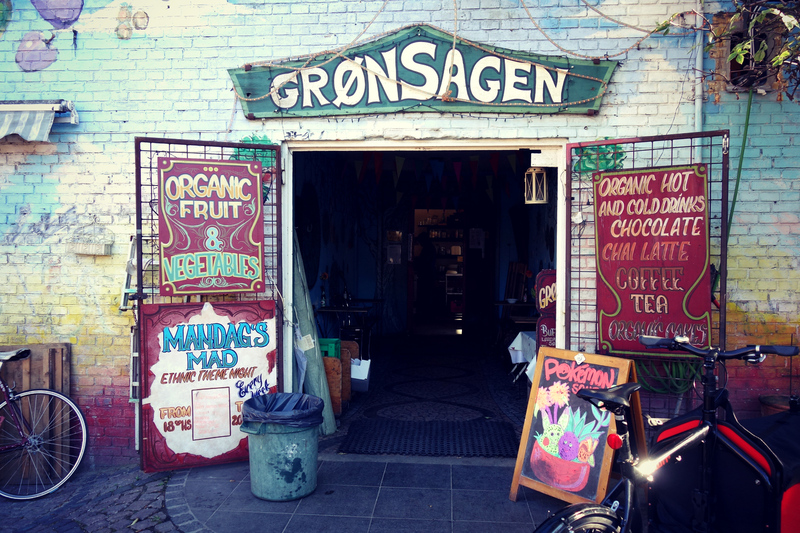 Here’s a typical Christiania coffee shop. And that’s it. 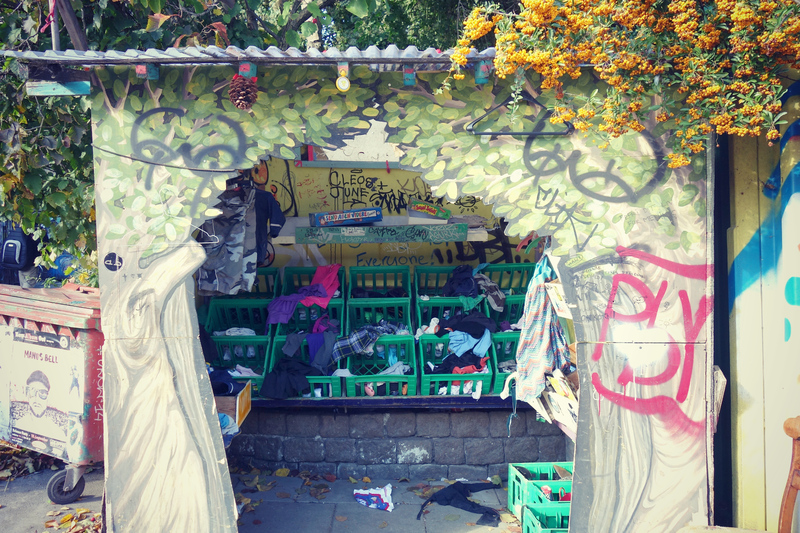 Welcome to Christiania. 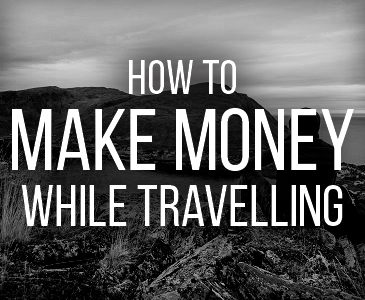 Heading to Copenhagen? 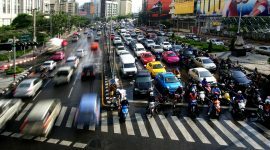 It ain’t cheap, but fellow blogger Lena has a great guide on free things to do while you’re there. Check it out! Yeah that’s what I thought too. Had to snap a photo when I saw it. Hi, hope that you have fun in Christiania. There is pretty special place to be in. The black man who have rasta in your photo, we met him when me and my bf traveled there, he was working for his new-born daughter whose name is Salma. I am so happy for this coincidence. World is small. Oh that’s awesome. I wish I had some cash on me to buy something. My Danish kroners ran out super quick!